First glimpse to the Team Discmania 2011 is here! 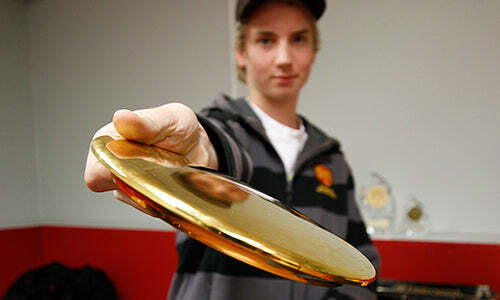 Seppo Paju and Leo Piironen were promoted from Discmania Junior team to play with the big boys next year. Seppo's track record from last year include pretty convincing highlights: Seppo won the Boys U16 World Championship title in the AM Worlds and was crowned European Champion in the Junior Division late August. Next year Seppo will be playing with all-Discmania bag and according to his plans, he'll play all tournaments in the Open division. We expect great things to come for this aspiring 16-year-old. Leo Piironen signing his contract for season 2011. Leo also showed some great results this year by taking the title in the Finnish championships in the Juniors U19-division and winning the same division in the prestigious Stockholm Open. We are certain these achievements will find company in Leo's trophy cabinet in 2011 and beyond! More team members will be revealed in the following weeks, as the crew is starting to shape up. So be sure to stay tuned by facebook or RSS-feed!